Do you want to be a Goya Spain distributor? At GOYA® Spain we work diligently to convert our brand into a global point of reference for Hispanic gastronomy. We are seeking international distributors interested in presenting our products to their clients. From our headquarters in Seville, we design and execute our expansion plans directly. 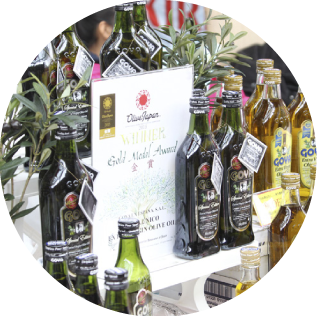 To do this, we follow the principles that have guided the company since its inception and thus we have launched our GOYA® Olive Oil y GOYA® Table Olives lines with the aim of exporting these products to international markets. In fact, GOYA® Spain is an olive and olive oil exporter from the first level according to Asemesa and Asoliva, the official associations of Spanish industry that classify exporting companies in both sectors. We work closely with distributors in foreign markets to build our brand and ensure common growth. 40 years of experience in exports to a total of over 20 markets. We collaborate in all facets of marketing and communication, providing added value to the product and bringing the brand closer to the consumer. We have extensive experience in documentation processes, adaptation of products (ingredients, labelling, etc. ), technical specifications, and quality certifications, etc. in five continents. We are a point of reference for great consumption, with internationally recognised awards and seals. We develop new products, seeking new key references for entering new markets, guaranteeing their constant and stable supply. We offer continuous training to the sales networks of our clients, allowing them to directly discover and integrate our products and their applications in Mediterranean gastronomy and culture. We offer joint monitoring and evaluation of the commercial actions undertaken. Open culture, listening to markets to understand and better support our clients. We offer a collaborative, transparent relationship with our partners. Direct and close contact. 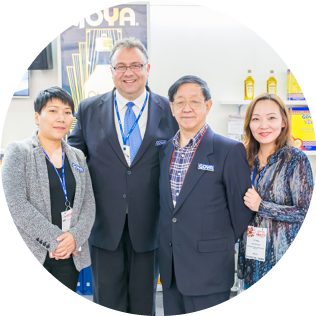 We invite our distributors to be members of the GOYA® Family. What are the requirements for a GOYA® distributor? Being specialists in the Retail sector, with logistics and warehouses allowing partnerships to be established. Bringing successful experience in Brand Building and having the capacity to organise and/or execute publicity campaigns and promotions. Having international brands in their portfolio. 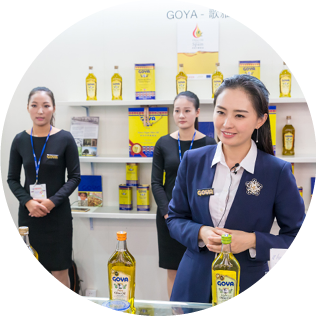 Having an affinity for olive/olive oil products, eventually being able to distribute other GOYA® product lines. If you are interested in becoming a GOYA® Spain distributor fill out the following form and we will contact you.